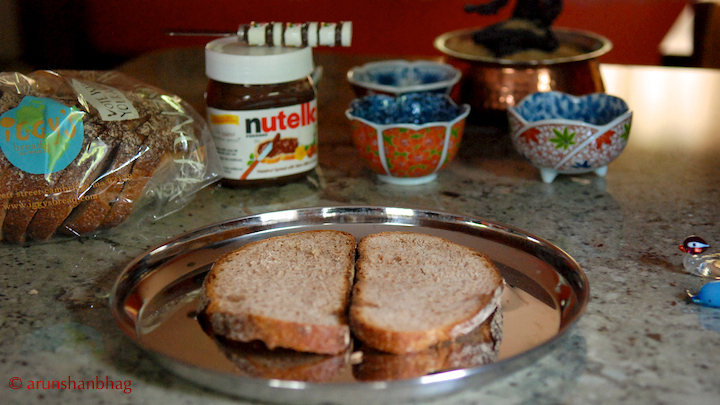 My favorite way to start the day is with two slices of whole wheat sourdough bread from Iggy’s with a liberal spread of Nutella. 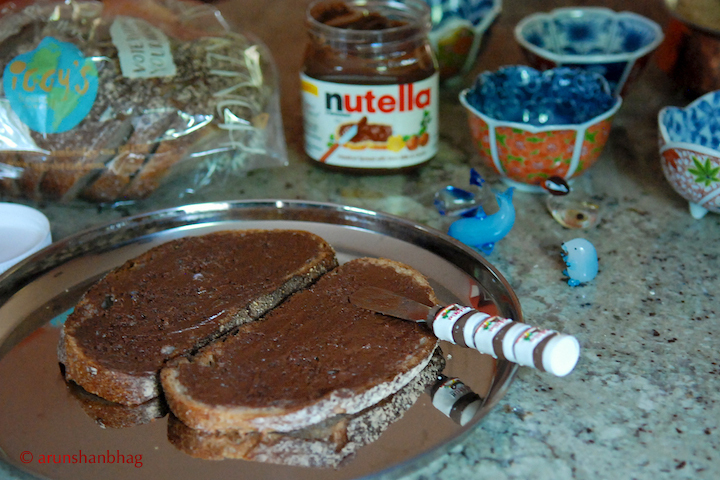 The bread is hearty and powers me through a crazy morning at the office, or a sadistically long run; the creamy hazelnut chocolate spread, I savor every smear of. This had so completely worked into my running routine, that when I travelled out of town for marathons, I carried my Nutella jar. Folks complain about the calories, but it is the same caloric density as the uber bland (and yucky) peanut butter, and saves you adding jelly. I just don’t get it. This is only as good as the bread its spread on. The local Iggy’s bread is my favorite. Try a hearty bread and see which works best for you. 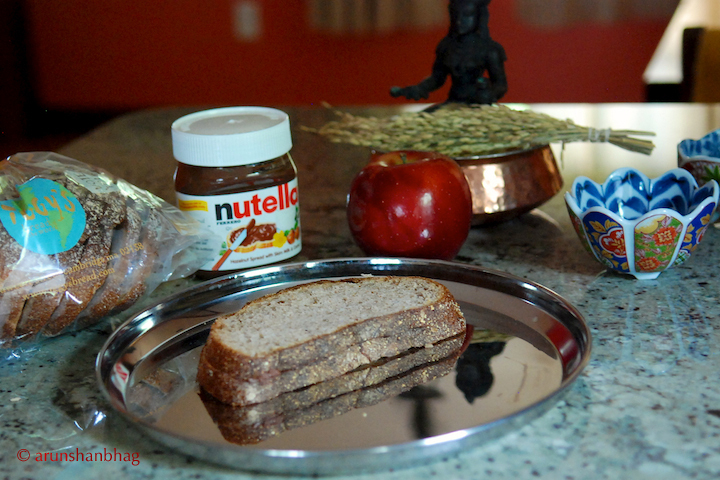 And in this pic from Meera visits the Harvard Museum of Natural History, Meera loves Nutella spread on Chapattis.